I really enjoyed this book. 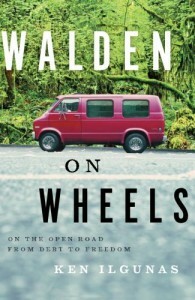 It was full of really interesting adventures by the author, and the part of living in the van actually only took up a few chapters at the end. I could see some parallels in how he described his spartan living, and even made tables to show how it worked out financially, which parallels Thoreau's original work (as best as I recall all these years later).